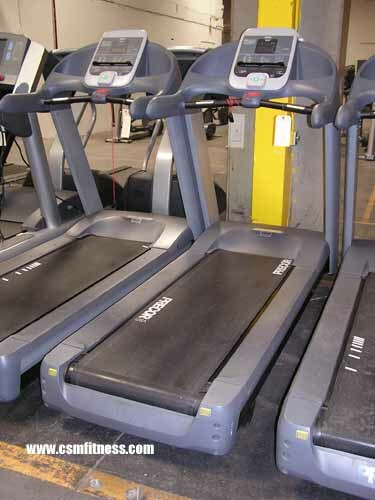 The Precor 954i Experience Treadmill is the latest version of the C954 treadmill. The 954i Experience is similar to its older version with the exception of a new fully integrated display, and a touch heart rate monitor system. The display includes 7 pre-programmed workouts ranging from a weight loss program to an interval course. Generally known for its exceptional commercial durability and ease-of-use, the Precor 954i Experience uses a three-phase, sensor less variable frequency drive system to provide a highly reliable and accurate speed control. Additionally, the monitor displays: average speed, calories, calories per minute, distance, and heart rate. With an advanced 4.0 HP motor, a low maintenance policy, and a IFT-Drive controller, the Precor 954i keeps users satisfied while providing a beneficial workout.